England has known its fair share of conflict, sometimes over land, religion, and of course, the throne. This War of the Roses Archer Helm is based off an artifact from a period in time when two rival houses fought over the throne of England. The War of the Roses was fought between two rivaling sections of the House of Plantagenet (which had ruled for over 300 years and included such kings as Richard the Lionheart and John, made famous by tales of his rule after Richard had committed to the Crusade and died), the House of Lancaster and the House of York (who bear the red and white roses, respectively). 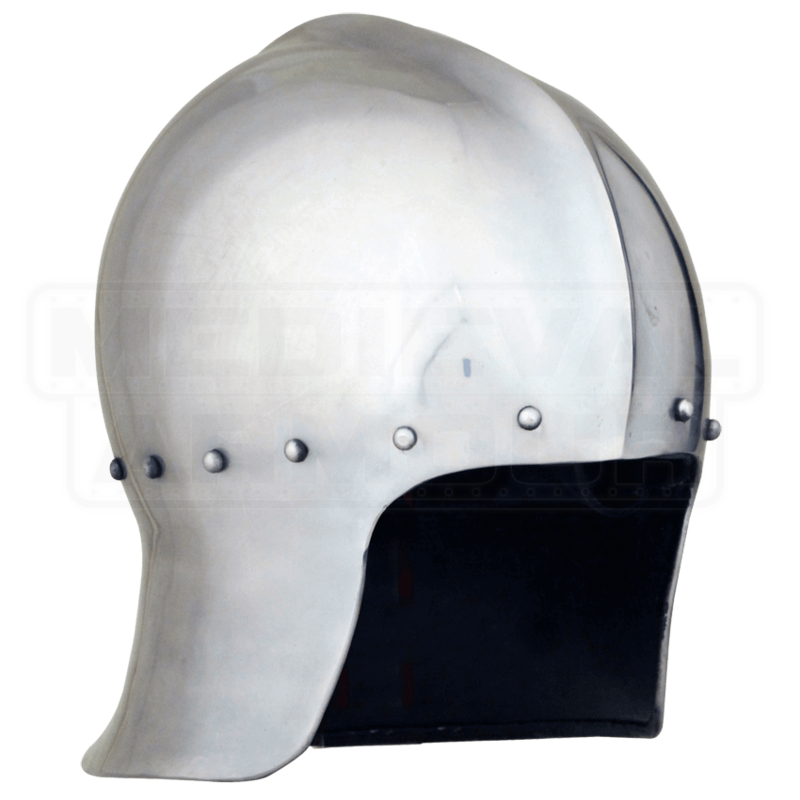 This particular helm is based not on what the nobles might have worn, but instead, on what the typical troop would have favored, possessing a straight-forward design that is both effective and protective, being shaped similarly to a barbute, of later 15th century Italian descent. 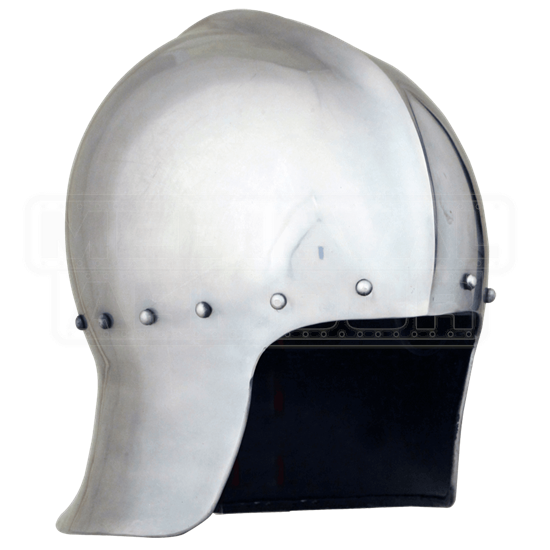 It is made entirely from 16 gauge steel and features rivets about the skull-cap, as well as protection on the sides and back of the head and face, while leaving the front open, so as to not interfere with an archers vision or draw. The interior of the helmet also features a leather liner with an adjustable chin strap, which helps to make the helmet all the more comfortable and easy to wear. The helmet is based entirely on a historical piece, which is held in the Royal Armouries, in Leeds, England. Hearty and effective, this War of the Roses Archer Helm is one that you could easily wear to provide yourself with a bit of protection in your own battles, as well as a great, historically based collectors piece to have sitting on your mantel, as well.